A little over a year ago every Apple fan was anticipating the news of a new device. Last year these fans were greeted by the Apple 5s and 5c. This year it’s the iPhone 6, 6 plus, and the Apple Watch. What is particularly interesting about the Apple Watch is that this is the first time since the iPad that Apple has added a new product to its line. Touted by CEO Tim Cook as “the most personal device we’ve ever created,” users will be able to receive and send messages, track their fitness, and control Apple TV with their Apple Watches. Cook, however, made no mention to the battery life of the device. It’s kind of difficult to imagine a watch that users would have to charge every night. Many have also noted that it will not be a standalone device, that its use is dependent on its proximity to an iPhone. In an age where cell phones have been rapidly replacing wristwatches as people’s number one method for telling time, I find this especially ironic. This product will be available next year for $349. Also showcased were the iPhone 6 and 6 plus. 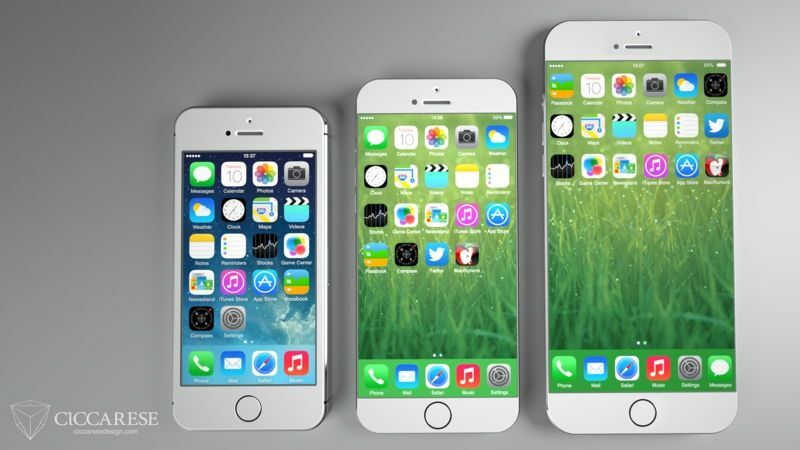 Both phones are bigger and thinner than the 5s and do not have any bezels along the length of it. The 6 plus, the bigger of the two models, is Apple’s first foray into the phablet market. Obviously designed with the Samsung Galaxy in mind, its size will allow for many new interface tricks that smaller iterations won’t have, such as dual pane messaging. The 6 will cost $199 and the 6 plus will cost $299 with contract.